Following these wise recommendations will do much to help a person lead a rich and rewarding life. Fulfilled! by William Schiemann boasts comprehensive goal-oriented planning designed to help one lead a rich and rewarding life. Human resources consultant Schiemann set out with an ambitious goal: to provide a process for every individual to reach life fulfillment, which he defines as “achieving one’s dreams and creating a lifestyle that brings exceptional happiness and inner peace.” In Fulfilled!, Schiemann not only meets that goal, he exceeds it. This is a book that, remarkably, offers a road map to fulfillment that is broadly applicable, whether a person is pursuing a career, building strong relationships with others, or even battling a life-threatening illness. In fact, one of the people the author writes about claims to have used Schiemann’s process to successfully overcome pancreatic cancer. The book is divided into four logical parts. Part I introduces basic concepts and illustrates specific individuals who have been either successful or unsuccessful at achieving life fulfillment. Part II builds naturally on Part I, examining some key fulfillment factors, in particular “ACE,” which stands for alignment, capabilities, and engagement. The author deftly explains each of these three factors and depicts their impact on organizations and individuals at work. Part III is positioned as a “scientific” study of fulfillment, but it is really about understanding and applying certain elements, including “success drivers,” “lighthouse goals,” and “life goals,” all of which are clearly explained and illustrated via text and charts. Part IV pulls all of the previous material together and translates it concisely into ten “life lessons” that serve both as a summary and a motivational launching pad to action. Throughout the book, Schiemann uses numerous concrete examples to move quickly from theory to practice. He masterfully employs stories of individuals, visually simple charts, and numerous questionnaires to actively engage the reader. In addition to walking through a step-by-step process, the author raises thought-provoking questions, such as “How Fulfilled are You?” and “Which Values Do You Hold Most Important?” He demonstrates precisely how to build a “life goal map” and, importantly, discusses how to measure a “personal scorecard.” All of these qualities contribute to a book that is easy to navigate and understand as well as non-threatening, which could alleviate the understandable fear some may have in delving so deeply into their own aspirations and challenges. There is certainly the possibility that some readers may be intimidated by the scope of Fulfilled! The book does require a serious effort on the part of the reader to define goals and follow a specific process. 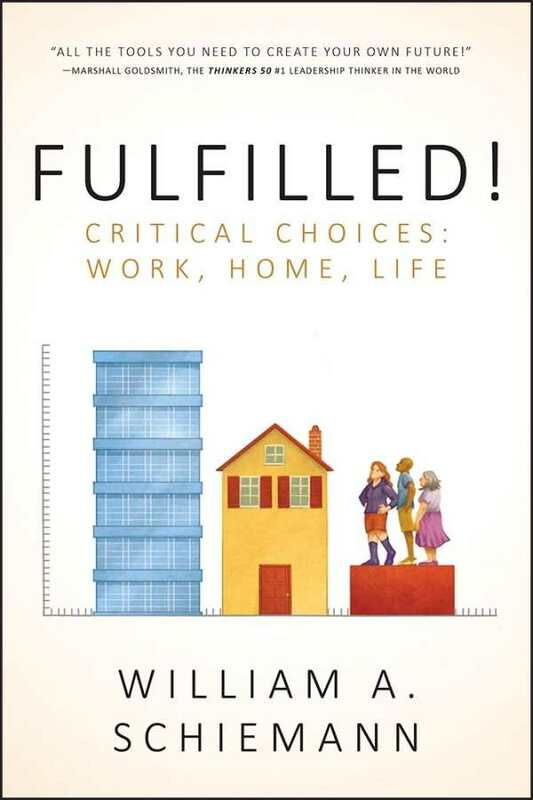 However, as Schiemann points out about the many people he interviewed for the book, “The most successful and fulfilled told us that they had a plan and stuck with it.” While no book can legitimately promise life fulfillment, the reader who diligently follows the plan in Fulfilled! will likely be taking a very wise step in the right direction.